Janine Harrigan - The Old Town Arts & Crafts Guild, Inc. A non-profit organization. Gallery, Gift Shop, Art Classes, Artists' Receptions, Promoting Art Fairs, and a Historical Art Collection! I am a local artist who resides in Cutchogue, Long Island. I have been involved in art all of my life, delving in different forms and mediums such as drawing, jewelry making, stained glass, and painting. Living on the North Fork affords me a wealth of beautiful scenes to paint. 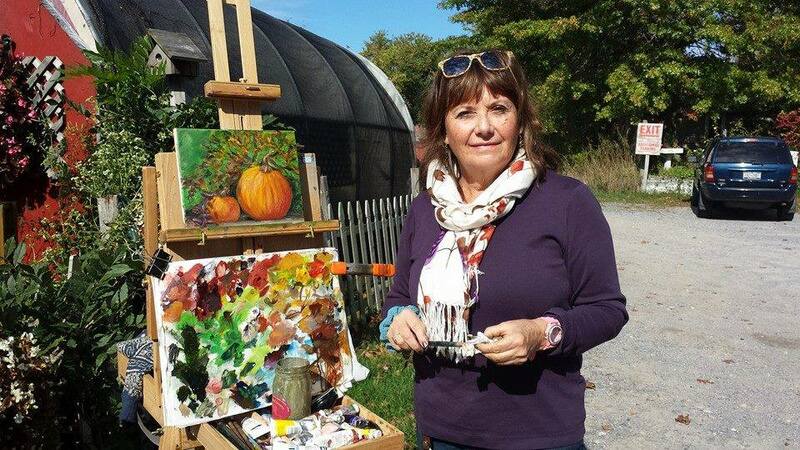 I belong to the Island East Plein Air Group and paint outside at different locations every week. I continue to learn from fellow artists and enjoy sharing my love of painting with other people.